Borna Sammak (b. 1986, Philadelphia, Pennsylvania) obtained a BFA from New York University (2011). Sammak frequently samples from the urban fabric of his everyday surroundings and from the realms of film, television, YouTube and digital advertising. 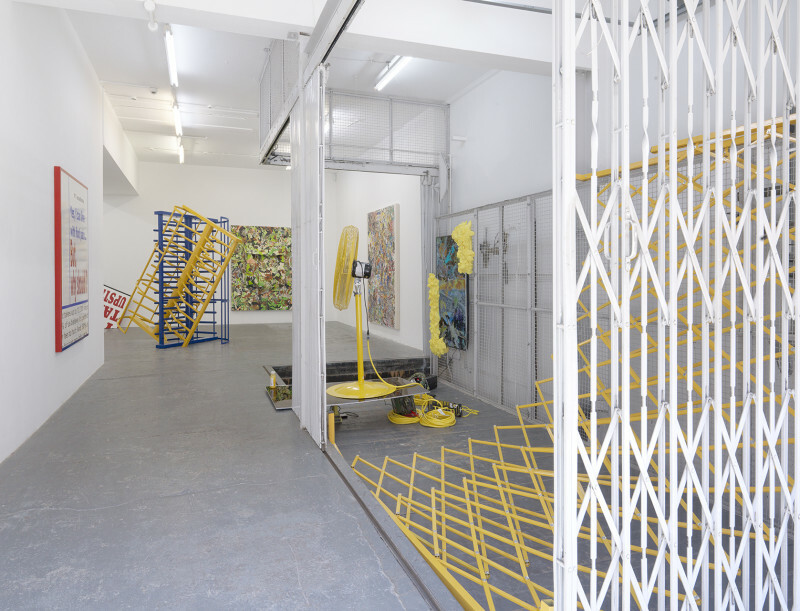 His installations, videos and wall-pieces embed and encrypt the material of daily life, splitting and recombining mundane objects and texts, signs, slogans, clothes or cartoons – into compressed metaphors and dense patterns. Through these acts of marriage and juxtaposition, currents of awkwardness, humour and doom run in parallel.